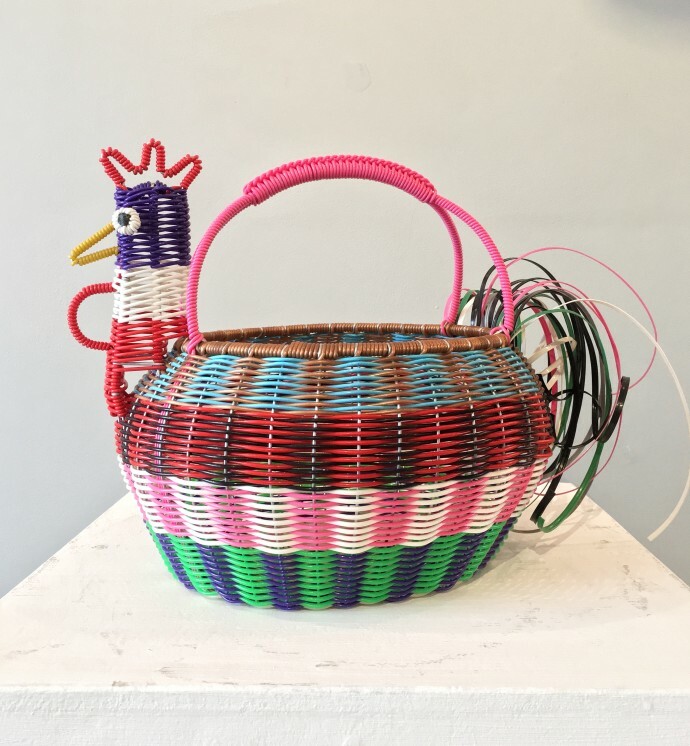 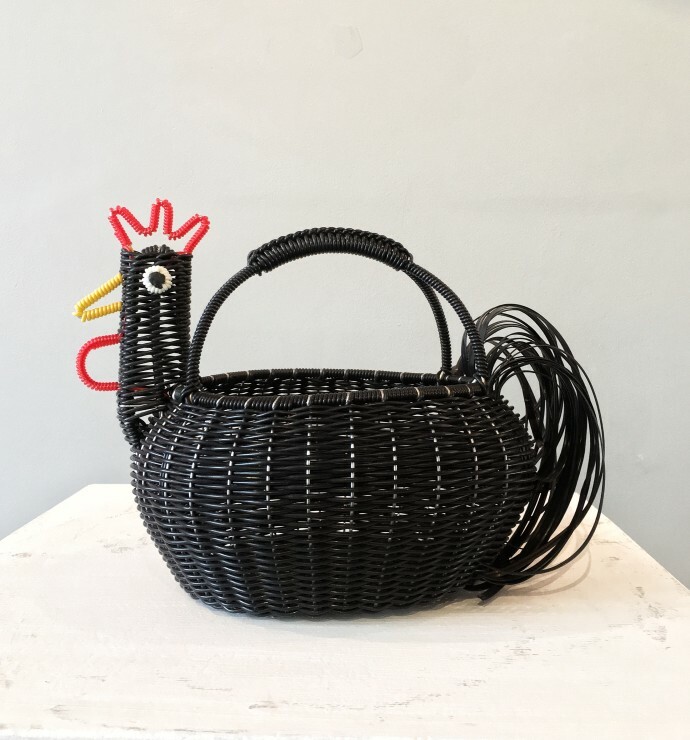 An exhibition of ‘Chicken Baskets’ from Oaxaca, Mexico. 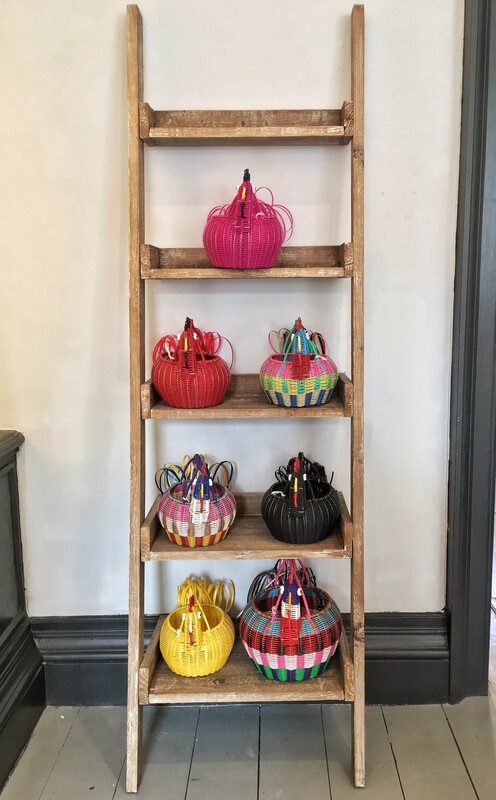 These beautiful baskets are created as part of a ground-breaking project initiated by a collective of artisans working with local prisoners. 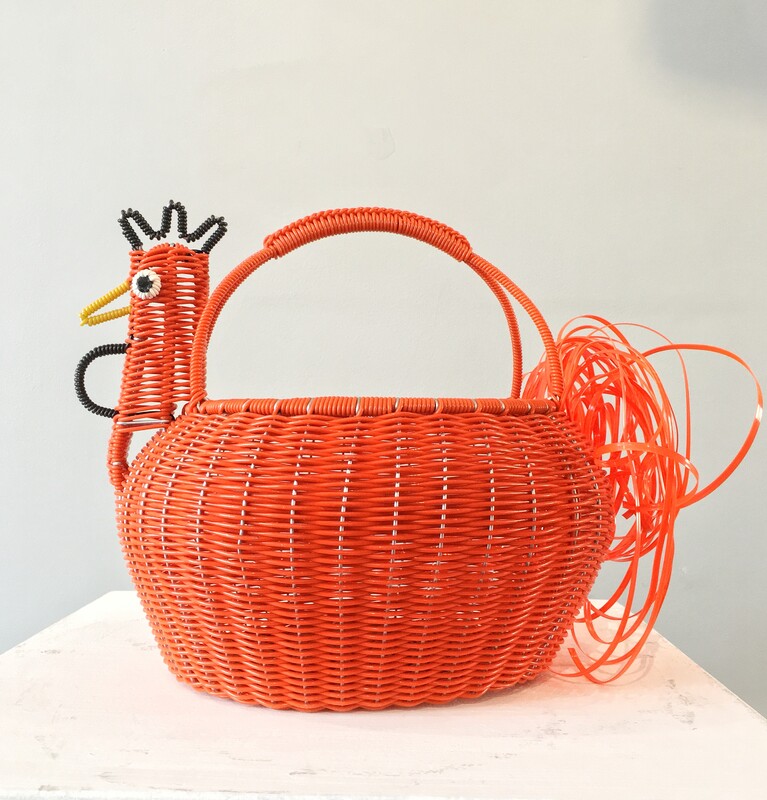 The project aims to give prisoners both a sense of achievement and an important skill. 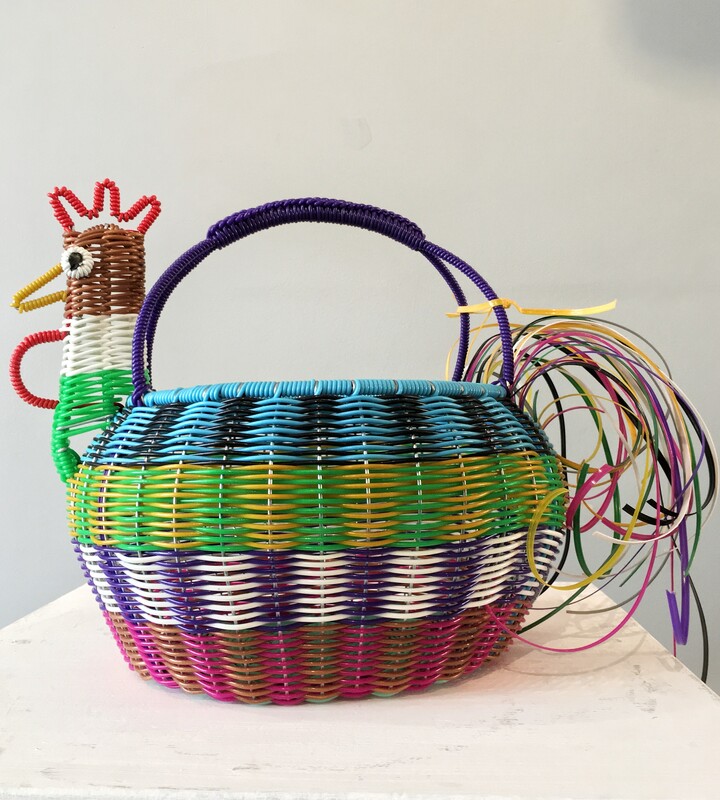 The work draws on Mexico’s rich pre-Columbian cultural tradition. 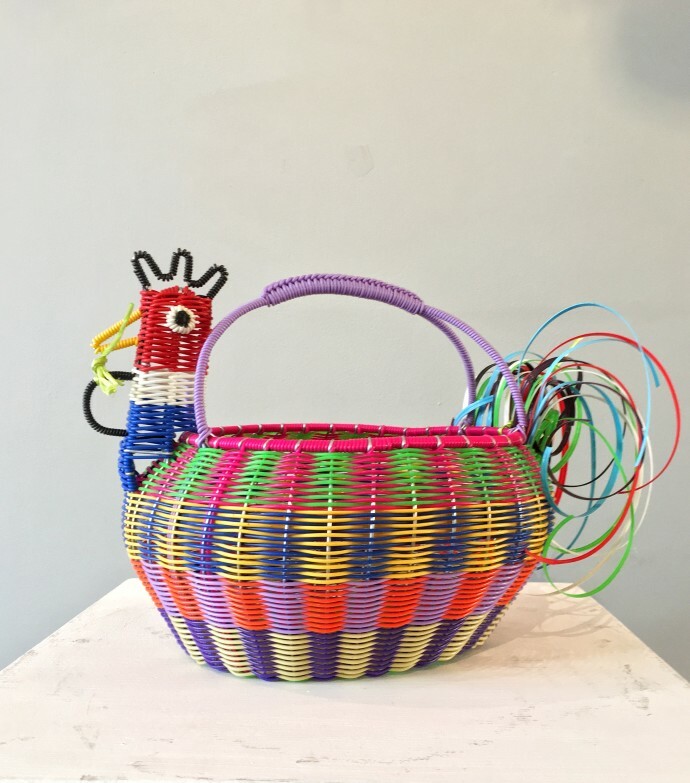 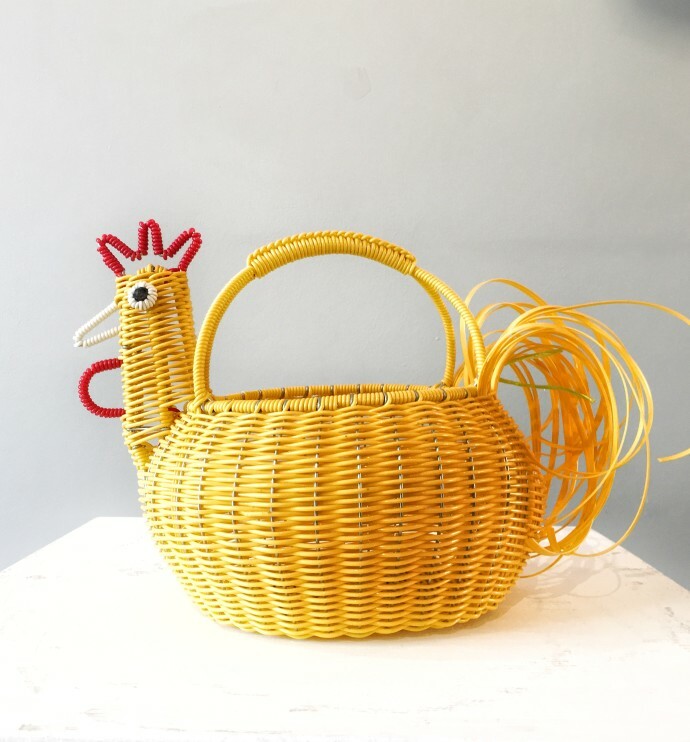 But if basket-weaving is one of Mesoamerica’s oldest crafts, it remains a vital element in the cultural life of modern Mexico – always receptive to the possibilities of new materials and new forms. 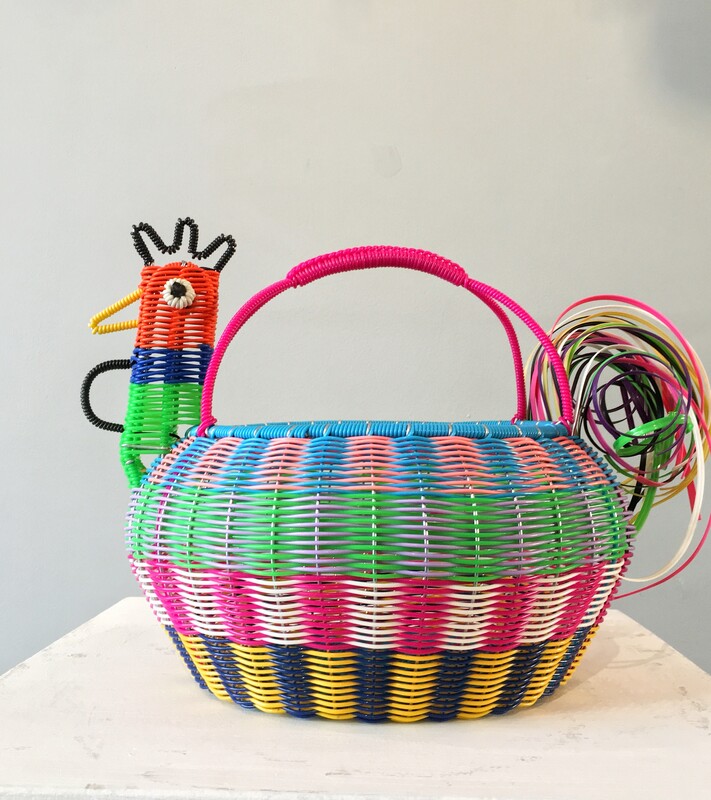 These baskets are woven from fine plastic tubing over a wire structure. 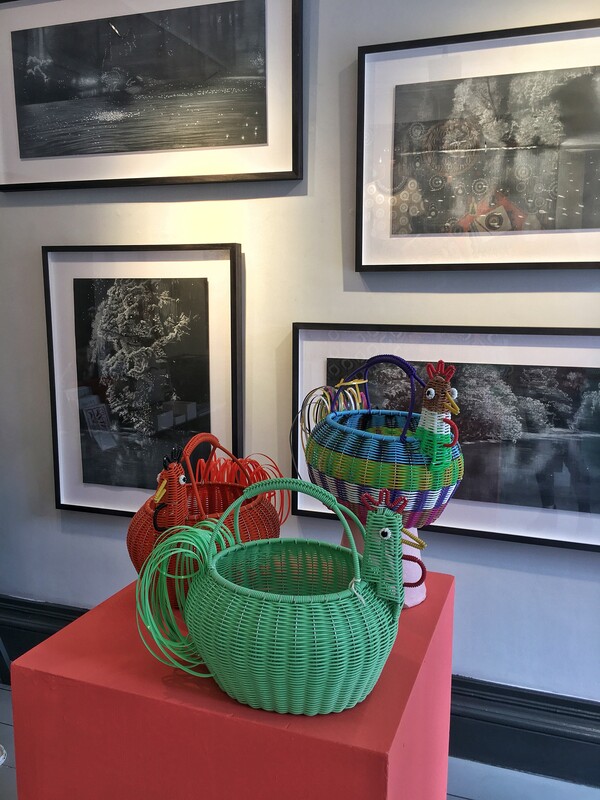 They are alive with colour and wit.